Toro Road Runners offers car lockout services in the East Bay. However, these services are only the beginning of the auto locksmith services offered to the San Jose, San Francisco, and Oakland areas. Because we care about the local community, when you need car lockout services, it doesn’t matter what brand of vehicle you drive. You can be sure that we can handle your motorcycle, car, or truck make and model. Toro Road Runners is BBB accredited, which means that when you need a reliable company that can provide auto towing or locksmith services, you should think of us first. Not only are we reliable, but we’re fast. We don’t believe in making our customers wait any longer than necessary. Since we provide more than car lockout services in the East Bay, we suggest that you view our broad range of auto towing and auto locksmith services immediately below. As mentioned above, we have an incredibly wide range of auto towing and car lockout services in the East Bay area. When it comes to auto towing, we understand the need to safely and effectively transport your vehicle from one place to another without a scratch! That’s why we use the most up-to-date fleet of towing vehicles possible, including flatbed tow trucks designed to get your vehicle entirely off the ground. Moreover, our towing services are available when you need them. In other words, 24/7 we have the skilled professionals you need to get handle your towing problem…even if it’s an emergency towing situation. Indeed, if it is an emergency you can rest easy knowing that when you call Toro Road Runners, a qualified towing expert will be dispatched to your location immediately. Reliable Roadside Assistance Coming Your Way! Clearly, you can already tell that Toro Road Runners is an elite tow truck company. From car lockout services in the East Bay to auto towing services, to emergency roadside assistance, we are able to help when you need it. 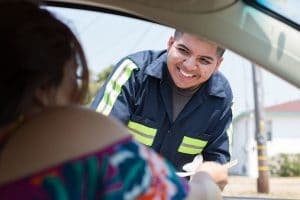 Just some of the roadside assistance services we offer in the San Jose, San Francisco, and Oakland areas are flat tire repair, battery jump start, dead battery replacement, and out of gas services. Anyone of these roadside problems can occur at any time of day or night. We therefore highly recommend keeping Toro Road Runners’s phone number on speed dial, so that we can be there for you at the push of a button.